Axial piston units are available in the form of pumps and motors in bent axis design or swashplate design for medium- and high-pressure ranges. They are the main components in the hydrostatic transmission. 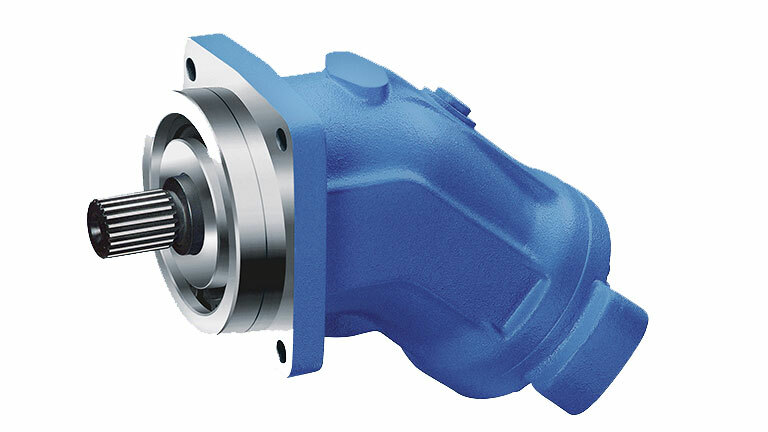 Compact size and high power density, economy and reliability are characteristic advantages which speak for the use of hydrostatic transmissions, together with the fact that they meet the demand for high speed and high torque, as well as optimum efficiency.